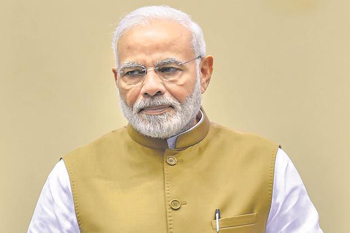 Mangaluru, Apr 10, 2019: In view of the Prime Minister Narendra Modi’s visit to Mangaluru on April 13 for election campaigning, security arrangements in the city have been tightened and alternate arrangements have been made for vehicle parking and traffic on this day, informed City Police Commissioner Sandeep Patil. A total of 1,472 police personnel including five SP/DCPs, 10 DySPs/ACPs, 36 police inspectors, 67 PSIs, 147 ASIs, and 1,207 head constables have been deputed for security arrangements during the PM’s visit. Apart from this five KSRP troops, 19 CAR troops 2 CRPF troops will also be on duty. Special teams have been formed for checking at the rally venue, Mangaluru International Airport and other places where the PM travels. The Department has fitted CCTV cameras at the Nehru Maidan where the programme will be held, checking will also be done in hotels and lodges as a precautionary measure. The Commissioner has issued an order banning parking of vehicles on either sides of the road from Mangaluru Airport to the Nehru Maidan right from 8 am on April 13 till the departure of the PM. Parking arrangements have also been made for the vehicles arriving for the PM’s programme. Among the vehicles coming to the city from Udupi, Mulki, Suratkal, Kateel, Bajpe, Kavoor, Kulur, Kottara Chowki areas, buses will have to be parked at Karavali Utsav ground, Urva market ground, Ladyhill church ground and Kulur Gold Finch Ground. Cars will have to be parked at Canara High School ground at Mannagudda. Buses coming from Karkala-Moodbidri, Sullia, Puttur, Belthangady, BC Road via Nantur will have to parked at Ramakrishna School ground, Kadri Ground, Padavu School Ground and Agnes School Ground. Car parking is at Shanthi Nilaya grounds at Balmatta. Vehicles from Kasargod, Uppala, Konaje, Ullal, Derlakatte, Thokkottu, Pumpwell and Kankanady will have to park at Emmekere ground and Vaman Naik Ground at Nandigudde while cars can be parked at Morgansgate.